Custom Harmonica, Do You Need One? A lot of harmonica players are gear heads, me included. Among the things you can spend money on is buying a custom harmonica. I really like custom harmonicas but before you get one I think you need to consider a few things. In this article I will give you my honest opinion on who really needs a custom harmonica. First let’s define different levels of customization. What I mean by custom harmonica is sometimes called full customization. The harmonica is basically rebuilt with a new or upgraded comb, the reeds curvature is optimised, the reed slots are compressed etc. If the customization is limited to upgraded cover plates for example and the reeds are untouched I would call it semi customization. The harmonica may still perform better than before but a lot of improvements are left out. Custom harmonica by J.A. Harmonicas. Now on to the pros and what you can expect. Better fit between all part means no air is lost when playing. Can be played louder due to the overall optimization. Increased responsiveness allows for possibility to play really quietly. Increased reed responsivness allow you to bend with increased precision. Cost, the more customization you want the more you will have to pay. Less challenging when starting to learn bends. Although this may seem like something you want it can actually hinder your progress. When starting to learn to bend it is good if you are challenged by your harmonica. It will teach you to adapt to the conditions. So let’s look at different categories of players. If you are a total beginner chances are that you will not be able to get the full benefit out of a custom harmonica. As I pointed out in the cons it may actually finder you. Out of the box harmonicas today are very good and should be everything you need. This category includes a lot of players. Most people in this category can find everything they need from out of the box harmonicas. if you want to try out a custom harmonica it may be a good idea to first buy one of the less advanced models or upgrade with a custom comb. 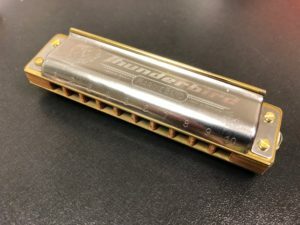 These players definately benefit from a more air tight harmonica but will most likely not take full advantage of the setup. If you are an advanced player it really comes down to the music you play. Most advanced players can definately benefit from a custom harmonica but tuning may be the thing that is the most important for example. First figure out what you are looking for and then act accordingly. Custom harmonicas just may be the luxury item that elevates your enjoyment. If so, go ahead and buy as many as you need. This category includes overblow players and players with very specific playing styles. If out of the box harmonicas does not produce the level of performance you need then a custom harmonica is probably just what you need. You may need different setups depending on what song you are playing. Your needs and your wallet will set your boundaries here. As you can see increased playing proficency and increased specific needs are what drives the need for the indivivual player regarding a custom harmonica. However, I must confess that it is a luxury I like to indulge myself in. It is up to each and everyone to decide. Just make an informed decision.